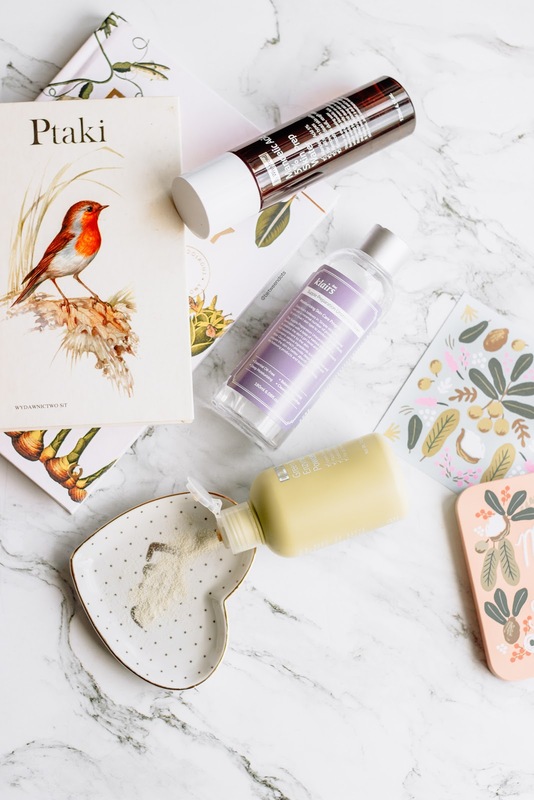 What's the difference between cruelty-free and vegan-friendly products? I'm always surprised that people think about cruelty-free products as vegan or vegetarian products. Cruelty-free doesn't mean that the product is Vegan-friendly just like saying that Vegan-friendly product is cruelty-free. The product is cruelty-free as long as it's not tested on animals and the brand doesn't sell the product in places where animal tests by a government of the country can happen. Vegan products - they usually are cruelty-free but some exceptions can happen but what makes Vegan-friendly products unique is lack of ingredients related to animals like beeswax, milk, lanolin, etc but some ingredients like squalane can be derived from shark or... PLANTS! How much you can save during the event? Selected items - Vegan items - will be up to -40% off during the event that takes place between September 28th to October 11. You can use code AFFVEGAN05 for additional 5% off so in total you can get -45% off in total and wishtrend has some additional gifts like code VFOVER139 for orders over 139$ - you can get free expedited shipping and Vegan-friendly sample kit. A couple of months ago I made a similar post during the cruelty-free event on Wishtrend, there are some new products which I'm going to share with you. 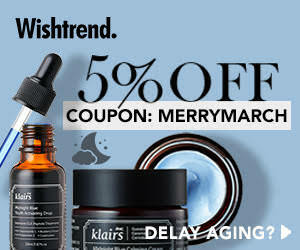 Selected items from brands such as By Wishtrend, Chica Y Chico, COSRX, I'm From, Klairs, Skin&Lab and Skinmiso are on sale but I've decided to choose the products I've tried or I want to try. Powder Washes are types of products which I usually associate with Japanese Skincare - it's an exfoliating cleanser which you can use every day or twice a week if your skin is sensitive. It's based on Sodium Bicarbonate - baking soda, that might sound bad for some people but actually, it's better to use a product with baking soda than use the one you've got in the kitchen. Let's stay with the exfoliation topic. Autumn is an ideal time for going back to exfoliating your skin with acids. Mandelic acid is an Alpha Hydroxy Acid made out of almonds and it's a very gentle acid that can be used by people with sensitive skin - especially in such low concentration. If you want to start your journey with acids - go for it! This mask is gold! Honestly, Sea Buckthorn Water does its job in this case! It's a light mask that makes your skin brighter. It's also a fair addition to Vitamin C treatment. You can love it or hate it! But Vitamin C in your skincare can really make your skin brighter or even help with scars and pigmentation - but remember this process takes some time. This cream helped a lot with cystic acne. Obviously, every skin is different but don't be scared to give it a try. I haven't made a review on them but these are the best acne patches I've ever had even if sometimes I need to use a needle to make it easier for an acne patch to absorb a pimple. I'm always surprised why I didn't make a post about this cleanser. It's one of HG cleansers which you'll probably get recommended by many skincare addicts due to the pH of 5,5 which makes the fight with acne easier. You want to try Vitamin C serum but you've got a sensitive skin? Then this is the answer to your needs! It's a gentle vitamin serum which is stable even if the packaging is transparent but remember that every vitamin C serum can oxidise after couple months still for everyday use this bottle should be enough for 3-4 months. Vitamin E mask is an additional product to enhance the power of Vitamin Drop serum. Vitamin C and Vitamin E work really well on their own but if you combine them the results are even better. For oily skin - this mask works better during the winter than summer. I still haven't make a post about it and as long as I love Midnight Blue Calming Cream, I have mixed feelings about this mask but I think that if you dry skin you'll love this mask. For a long time, this cream was the only cream I used. And don't get me wrong I'm going to go back to this moisturizer one day because even if I like to try new products I haven't found any better moisturizer than this one. I'm on my way to prepare the review of this UV Essence but if you want a sunscreen that is lightweight, has no scent and doesn't leave a white cast then go for this one! This is the best toner I've ever tried, the bottle is enough for a couple of months of use twice a day and it has no scent! Definitely worth a try! This version is recommended for sensitive skin and people with allergies. 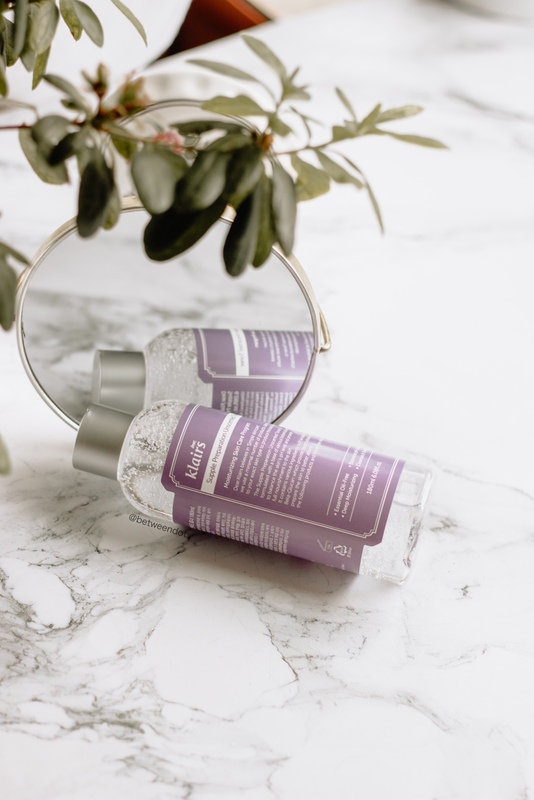 A scented version of Klairs Supple Preparation Unscented Toner, in a post about the Unscented version you can see the differences between Scented and Unscented version. I've been using this soap for couple months and I need to get new one since I'm almost out of it. It really changed my body care and make it easier to survive with body acne. Do you like peptides? For me, peptides can really make your skin look better, for example, FGF ampoule helped me with acne and scars. Peptides are usually quite expensive but this one is based on EGF and bFGF and it's told to help slow down the aging process. 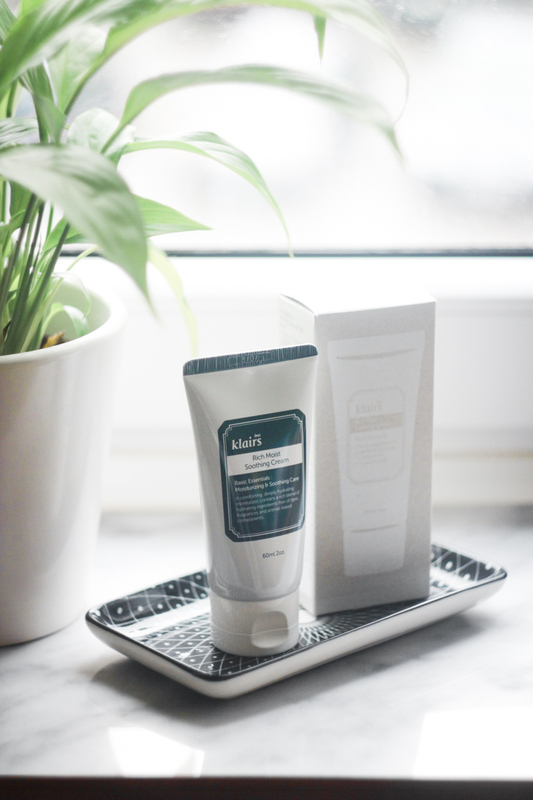 Klairs mask has been reformulated and as long as I loved the previous version and I feel mixed about the black twin of this mask, maybe the light one will be better? Who knows! I'm From is definitely a brand I need to try ASAP! The Mugwort Essence is made in 100% out of Artemisia Princeps Extract. I need to make a special post about this ingredient because just like Ginseng it has an important role in many different cultures. As you can see, the list of Vegan products on Wishtrend is not that short. I'm sure that Wishtrend will add couple more positions with time - Wishtrend mostly informs you that the product is Vegan when you click the link. Let me know what's on your wishlist and are you planning to get any of the products.